What do we mean by Whole and Complete? It means we choose to live our life not our story. That we choose to honor our process and live in our highest potential. Our tribe is here to remind you that you are beautiful. When you step into the world today shine bright. Be present and choose to be a light because as you Own it - Wear it - Live it, you can watch the world respond to the "You" it has been waiting for. Let our Tribe Gratitude heart be your guide. 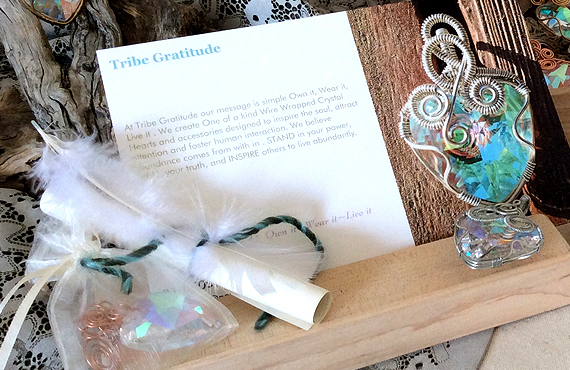 At Tribe Gratitude much of our design process each day is driven by the creativity that shows up in the moment. With this thought process regarding artistic creation we are given an opportunity for an adventure that leads us to new realms of possibility at the studio and it is always unexpected. It is a priceless meditation and a way of living for our tribe. If you choose to "be the change" why not empower yourself now... Let the Tribe Gratitude experience be just the beginning! 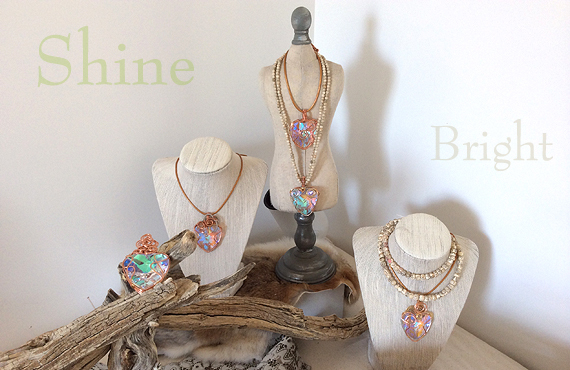 Our crystal heart necklaces are one of a kind and hand wire-wrapped by artisans at The Tribe Gratitude studio in Palm Springs. Each crystal Gratitude Heart is individual and unique in its wire-wrapping technique, using the unique talents of our artisan Valohna in California, as well as other guest artists that are a part of our group of women who support our artisan products which are designed to inspire the soul. 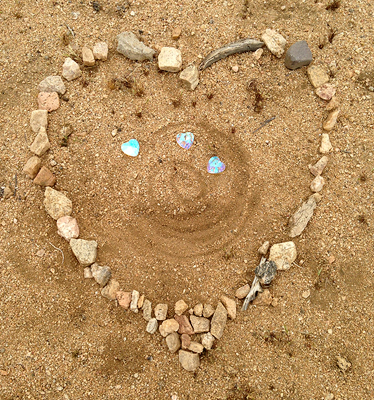 The mission behind our “crystal hearts that give back” is that each one reminds us as women that we are unique, whole and complete. Beautiful and powerful in our individual way. 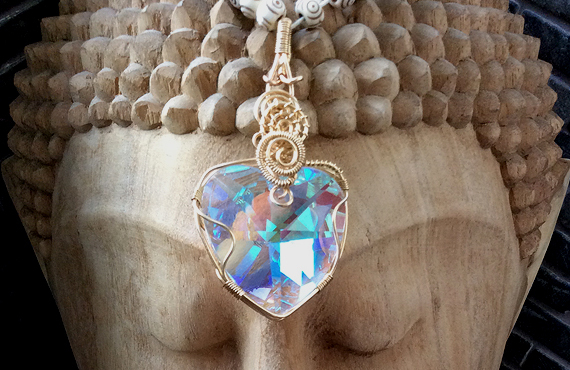 This pendant can be worn, hung or placed in sunlight where it will create brilliant rainbows to inspire you and remind you of your brilliance, beauty and your wisdom at any age. Be prepared to stand out, people will be drawn to you and you will be admired as a Tribe Gratitude sister when you wear our gratitude hearts… they hold the intention of our artists to welcome you to our group of women who are a part of this simple gift that gives back and sparks a memory for those that view it. In addition to shining bright with our crystal heart necklaces, Tribe Gratitude has expanded into a new and exciting line of products called The Goddess Necklaces, which are hand-knotted, semi-precious stone necklaces, intended to ground and protect the wearer and serve as a prayer mala or meditation beads… so set your intentions, shine your light bright and wear these empowering pieces that were designed to standout in the most graceful feminine way while being powerful. The introduction of healing stones, big oversized chunky crystals and pearl lariat style necklaces are all about being powerful as you step into your own form of magnificence. A portion of our proceeds go to Safe house of the Desert for teens at risk. If you would like to know more about Safe house you can go to safehouseofthedesert.com. It takes a Tribe to Grow our gift that gives back. 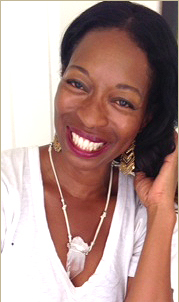 So for more information on our Gratitude Heart products, or to place an order, or become a Tribe Gratitude Sales support member, or host a gratitude party, please contact Valohna Wynn.